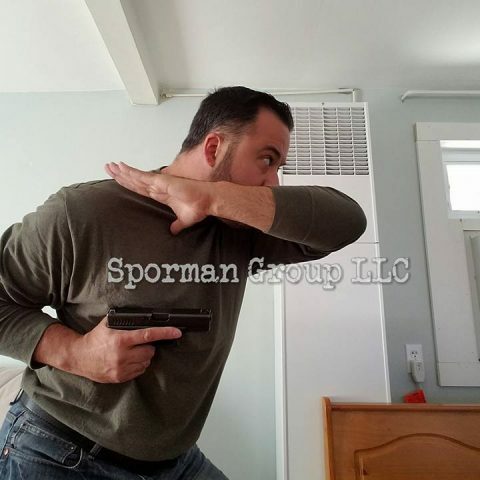 Specializing in armed & unarmed close-quarters battle, active & static counter-knife measures, and combat pistolcraft with a special emphasis on law enforcement & military applications. 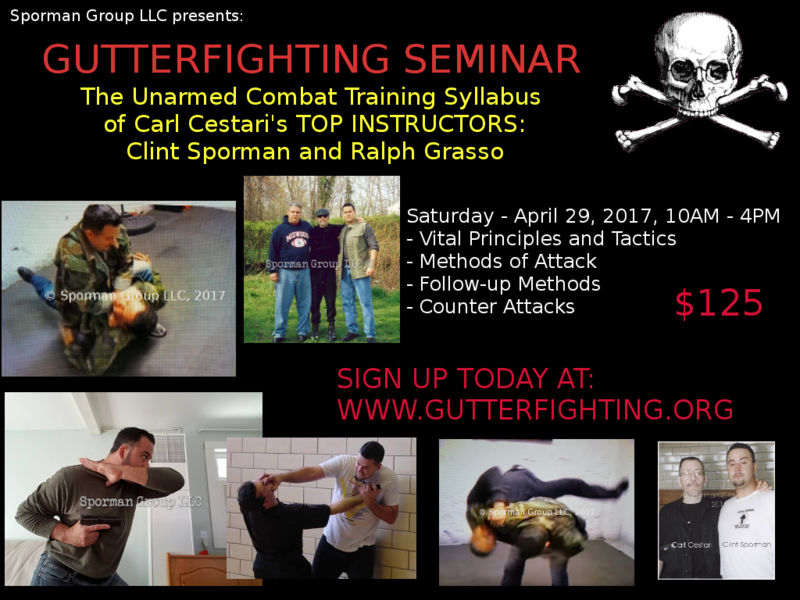 GUTTER FIGHTING – CQB is a complete method of Close-Quarters Combat, and not just another “Self-Defense System”. We train for real world conditions and situations to help you survive. Where most mixed martial arts schools train their students for a sport, we promote a tactical mindset that should be emphasized and employed in any realistic violent encounter. Nearly 70 years ago, Lt. Col. W.E. Fairbairn summed up his approach as “Vehemence, Artifice, Shock & Force”. To come out a winner, you must understand that in combat, there is the reactive side and the proactive side. To increase your chances of survival, understand the tactics of both sides. We offer professional instruction and training in the authentic methods developed and taught both prior to and during WWII by such legends as Lt. Col. W. E. Fairbairn, Major Eric A. Sykes, Col. Rex Applegate, Dermot O’Neill, John Styers and many others – with subtle changes and adjustments as introduced by Clint Sporman, based on his extensive background in law enforcement. If you want to learn tactics to survive in the real world, then you will find exactly what you are looking for here. Our methods are highly effecitve and practical – but simple in nature due to how the human body reacts to severe STRESS in combat situations. Combative superiority, with a focus on AWARENESS of our surroundings and being OFFENSIVE in nature based on elements laid out by W.E. Fairbairn nearly 70 years ago. Professional instruction that is second to none! Our approach to Close-Quarters Combat is rational, effective and reliable. Our knowledge, experience and training methods are unparalleled. If you’re looking for a martial art that’s rich in culture, tradition, and spiritual enlightenment, you’ve come to the wrong place. DOING is what we specialize in; talking is what “others” do.